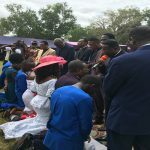 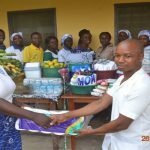 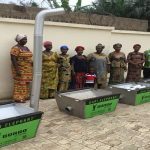 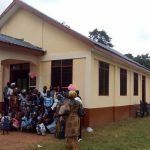 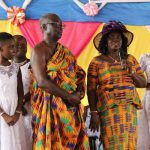 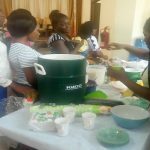 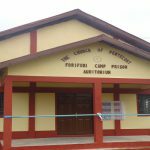 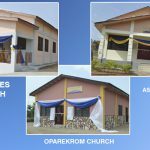 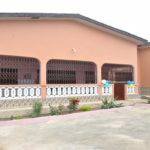 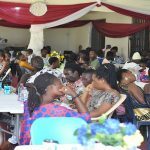 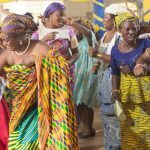 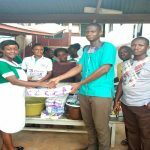 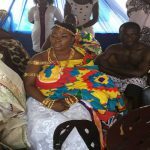 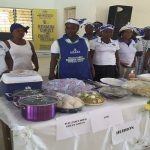 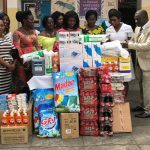 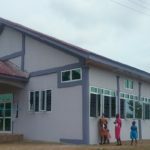 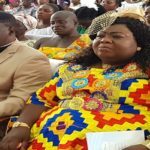 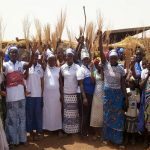 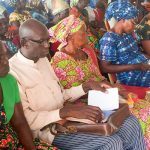 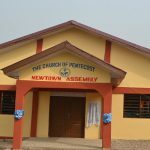 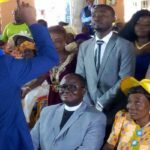 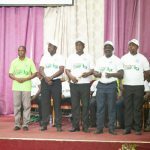 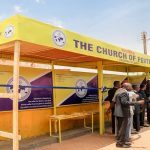 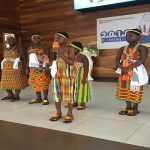 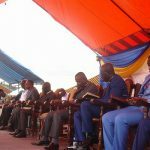 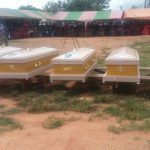 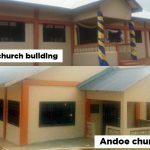 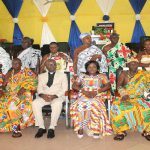 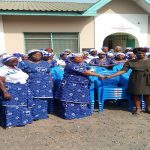 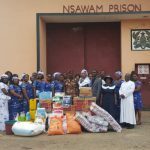 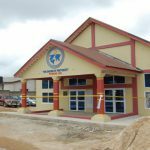 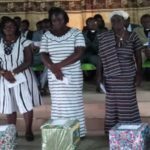 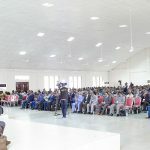 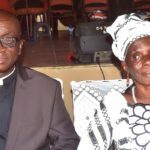 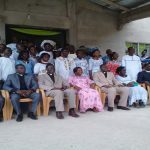 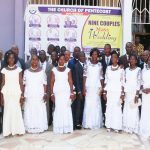 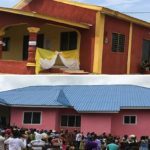 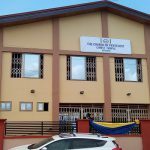 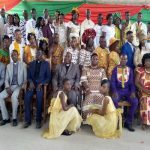 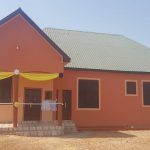 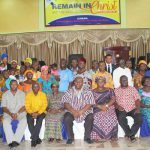 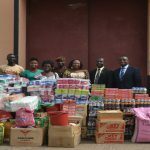 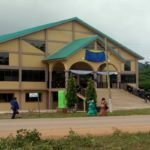 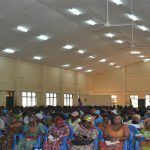 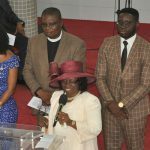 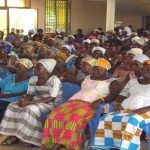 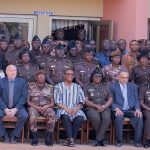 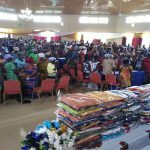 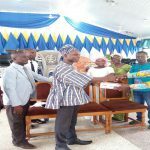 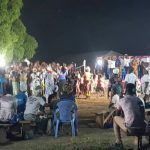 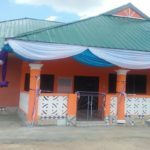 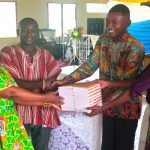 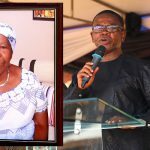 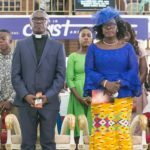 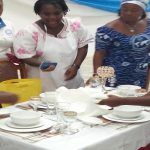 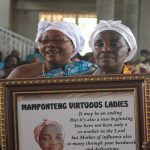 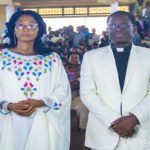 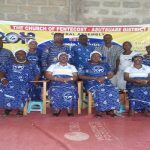 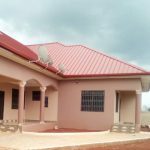 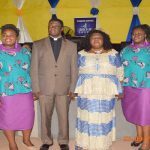 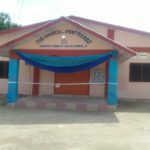 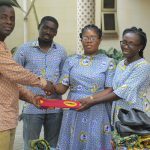 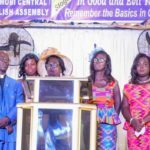 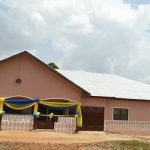 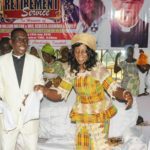 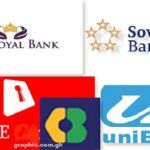 A retirement service was held at Twifo Praso in the Assin Foso Area of The Church of Pentecost in honour of Pastor Isaac Joe Adusei and his family, who ended their 32-year ministerial service on Sunday, July 29, 2018. 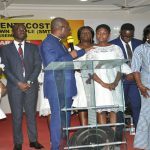 The well-attended service was officiated by the Cape Coast Area Head and Executive Council Member, Apostle David Tekper, ably assisted by the Assin Foso Area Head, Apostle Sylvester Arhin. 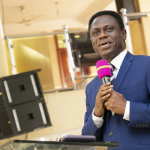 Delivering a sermon on the topic: “Well Done Good And Faithful Servant,” (Matthew 25:14-31), Apostle David Tekper stated that God owns every believer because He created them and purchased them with His blood. 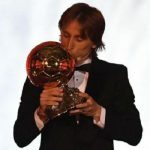 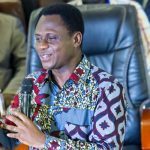 As a result, it is expected of every believer to live for Him and serve Him in ways that please Him. 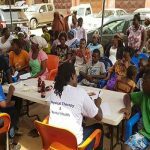 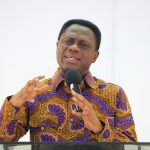 The Cape Coast Area Head further stated that the call to serve God is a big privilege and honour for the believer. 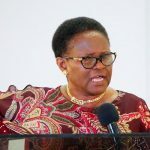 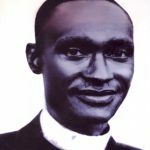 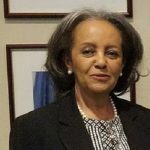 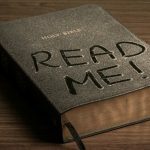 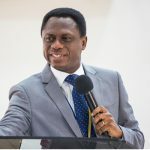 He, however, cautioned that every believer who is called into the Lord’s service would be required to render an account of their service to God. 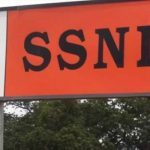 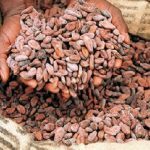 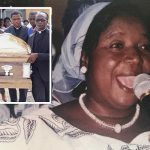 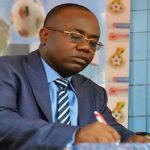 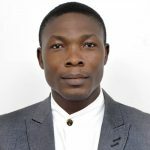 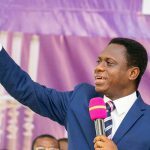 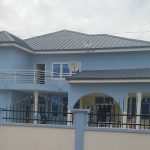 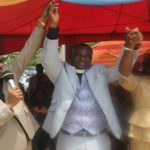 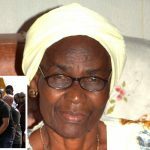 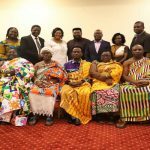 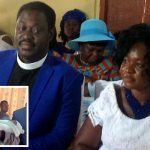 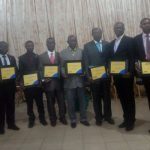 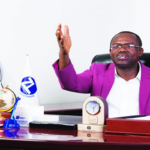 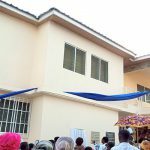 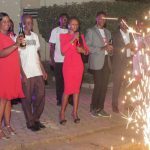 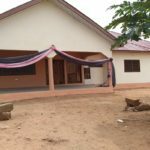 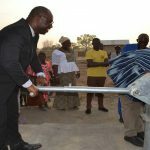 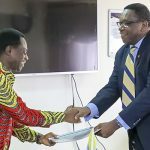 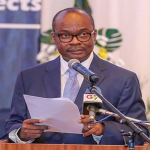 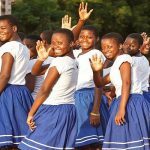 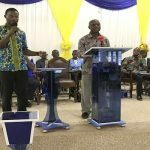 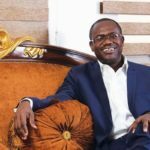 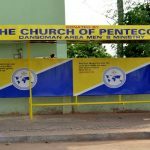 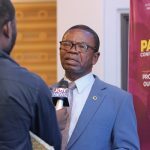 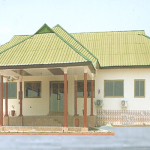 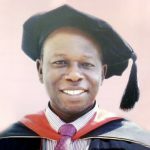 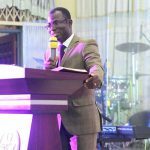 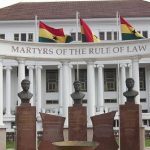 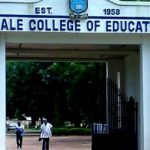 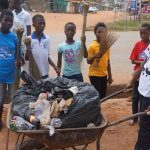 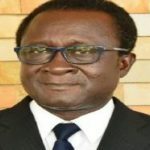 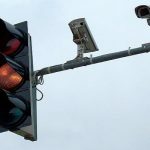 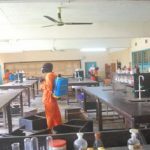 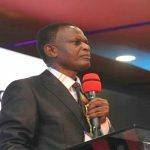 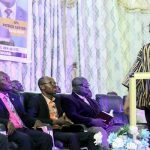 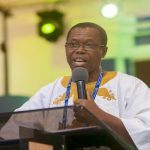 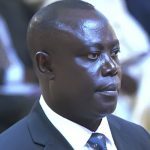 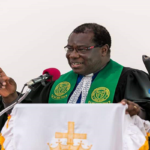 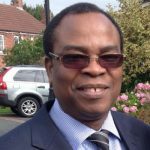 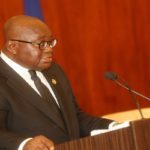 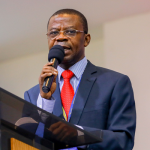 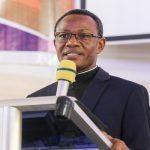 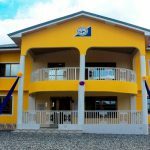 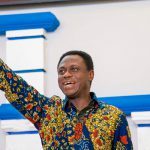 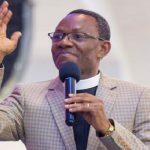 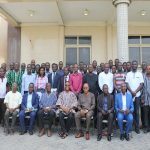 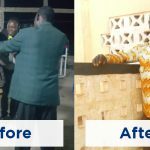 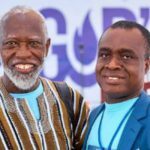 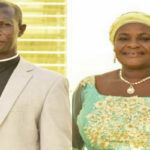 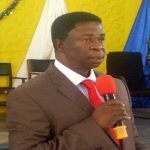 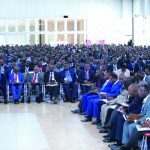 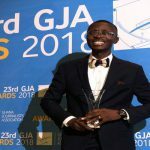 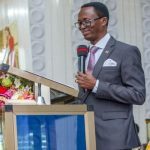 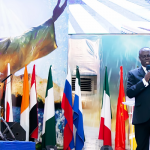 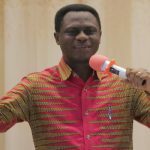 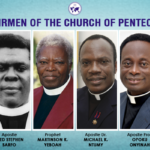 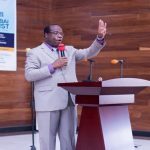 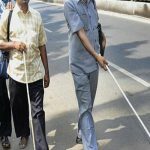 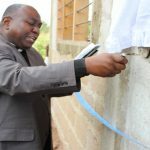 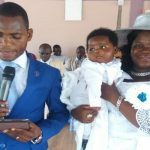 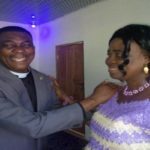 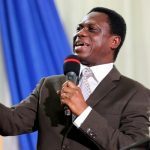 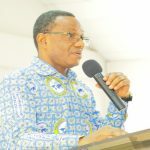 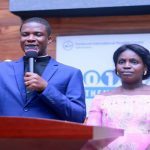 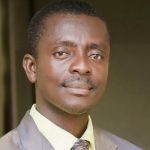 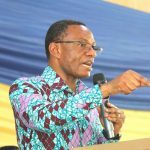 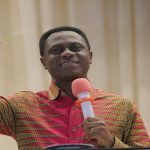 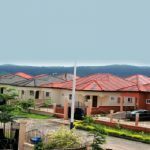 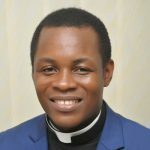 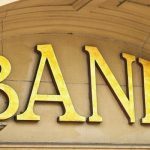 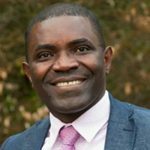 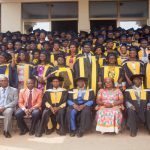 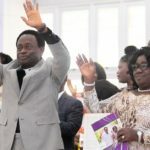 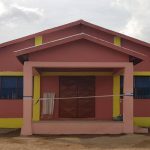 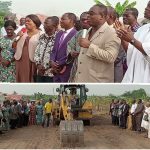 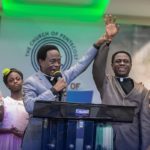 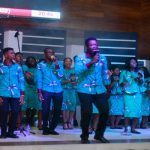 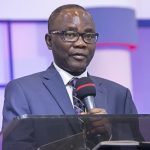 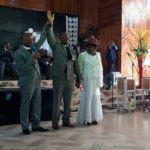 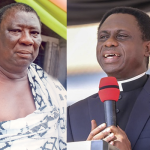 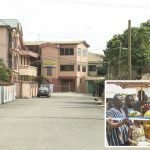 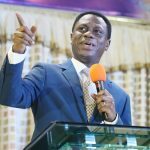 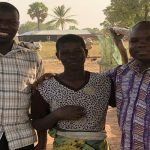 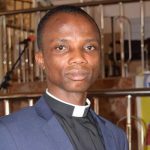 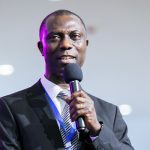 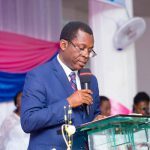 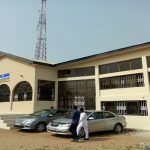 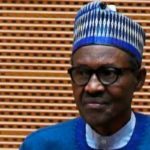 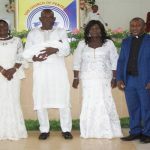 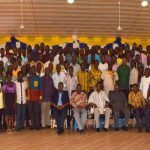 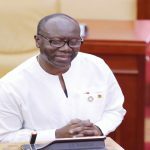 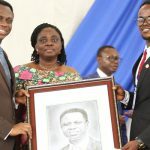 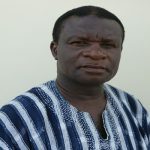 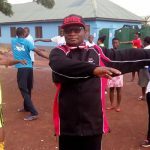 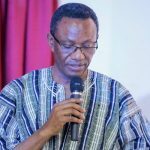 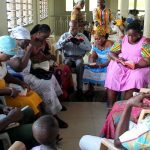 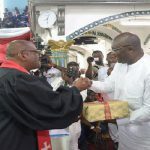 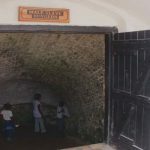 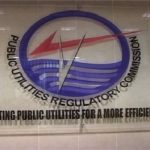 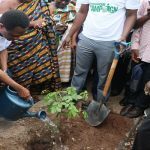 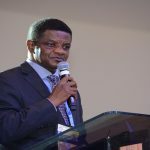 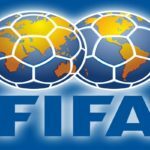 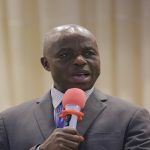 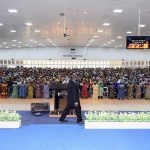 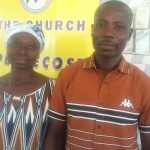 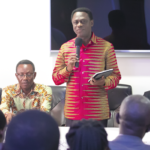 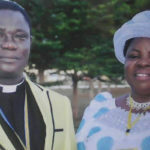 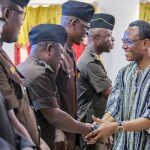 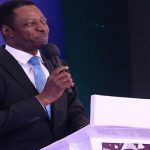 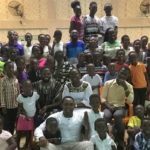 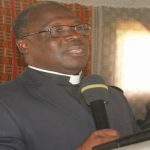 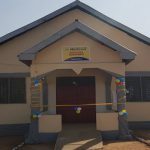 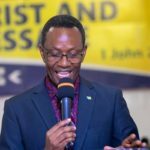 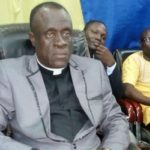 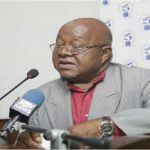 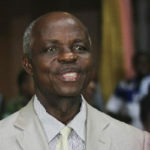 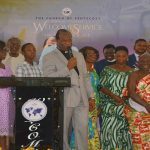 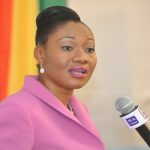 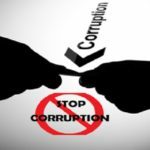 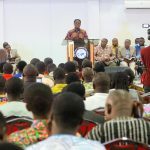 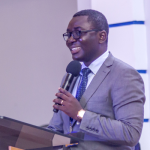 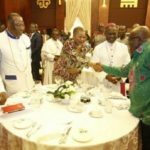 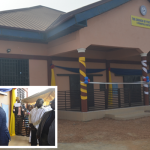 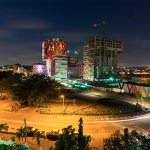 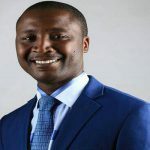 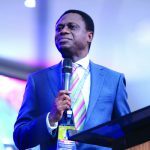 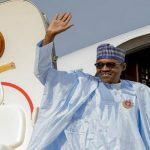 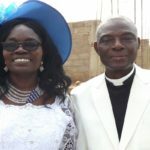 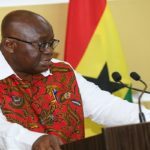 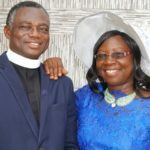 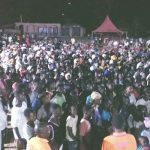 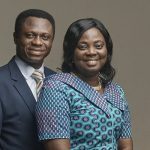 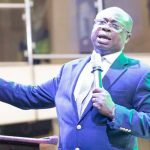 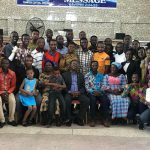 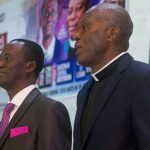 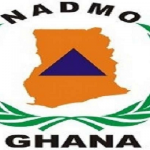 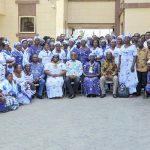 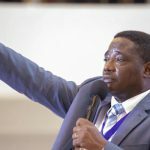 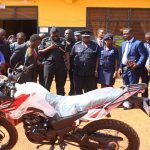 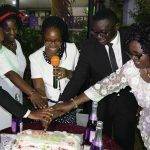 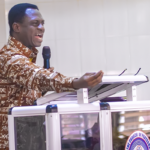 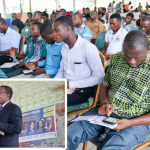 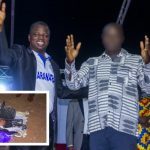 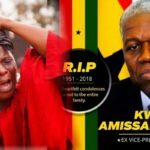 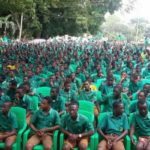 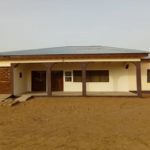 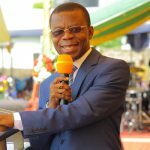 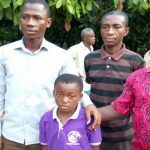 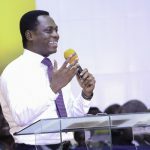 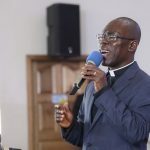 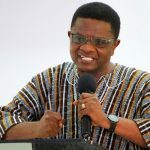 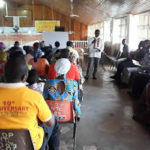 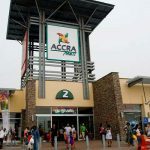 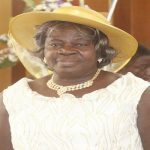 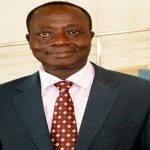 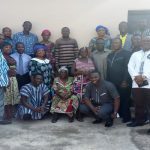 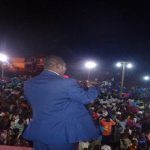 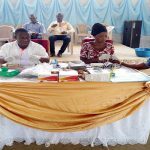 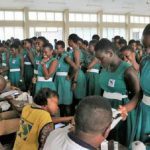 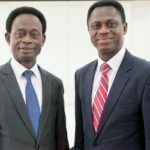 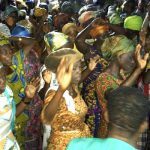 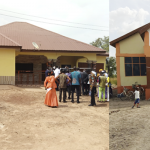 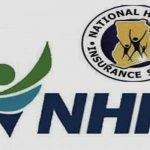 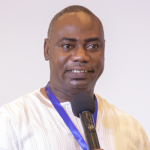 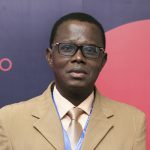 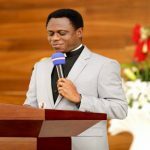 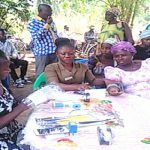 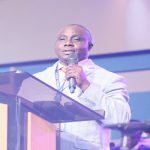 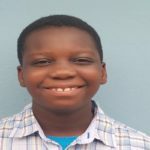 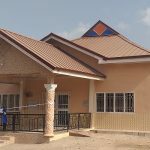 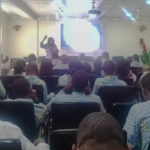 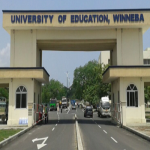 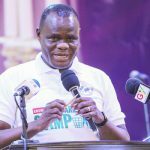 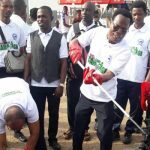 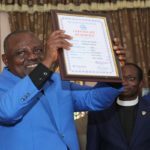 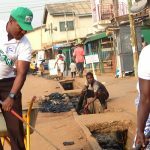 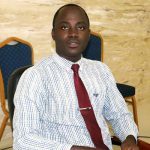 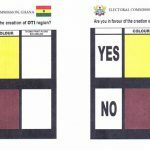 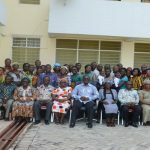 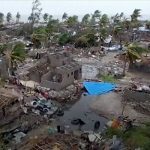 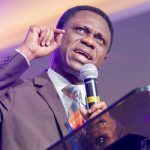 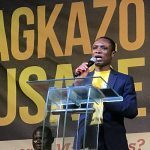 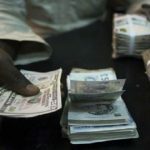 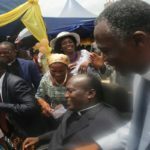 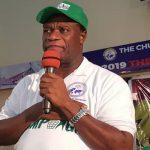 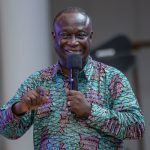 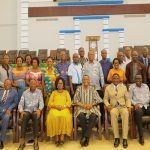 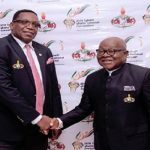 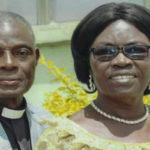 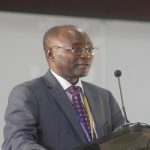 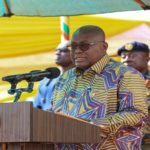 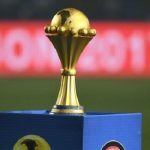 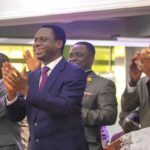 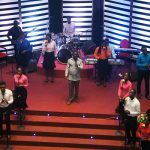 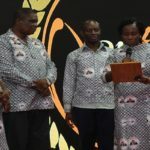 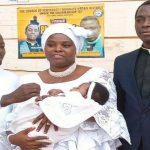 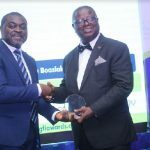 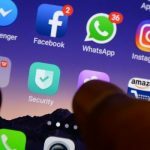 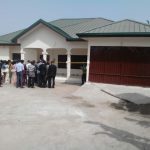 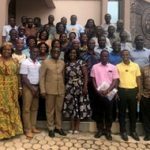 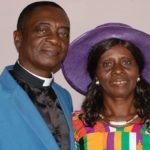 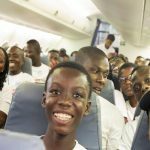 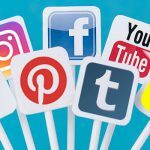 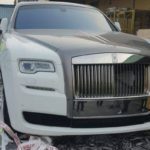 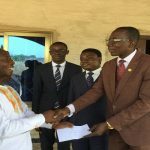 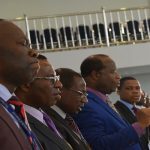 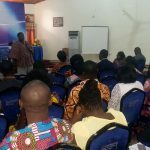 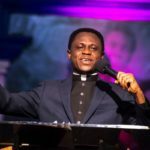 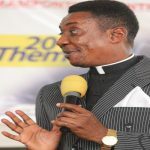 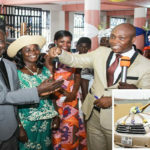 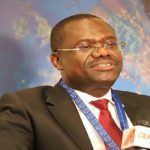 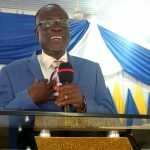 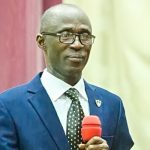 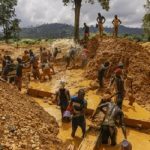 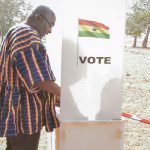 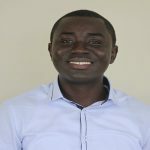 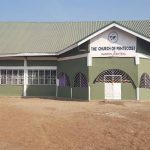 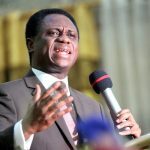 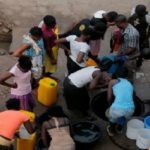 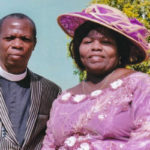 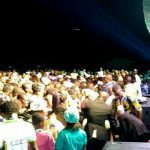 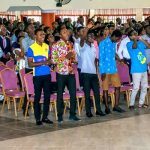 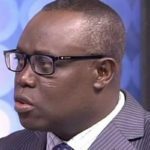 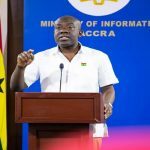 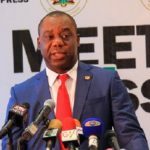 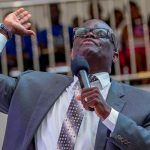 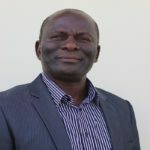 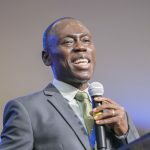 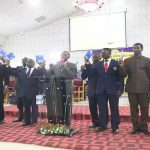 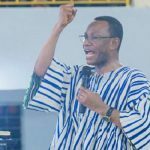 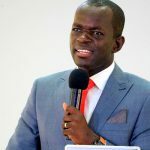 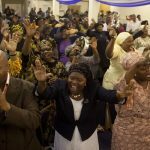 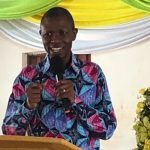 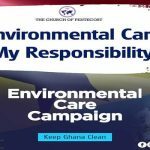 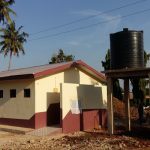 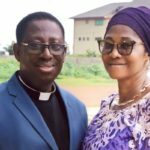 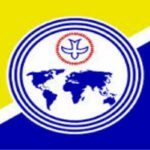 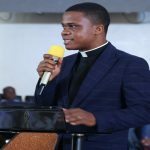 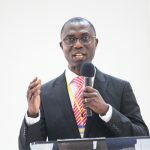 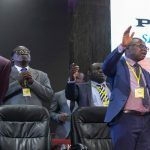 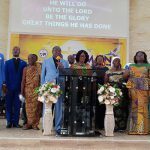 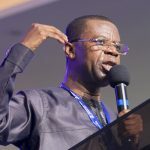 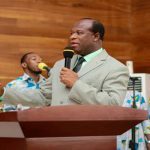 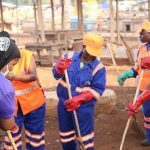 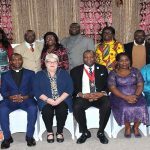 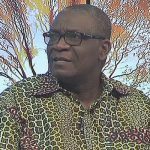 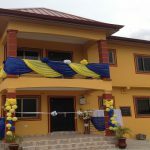 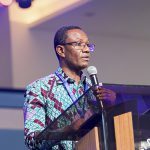 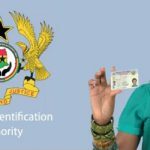 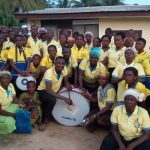 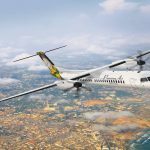 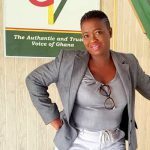 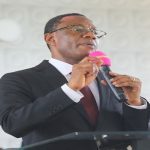 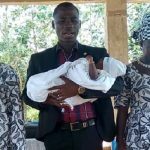 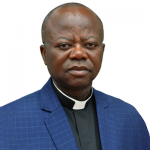 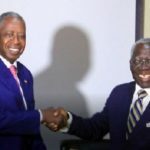 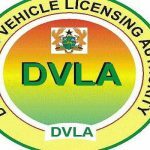 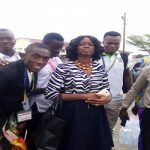 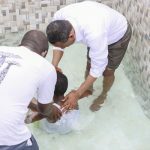 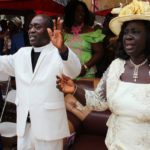 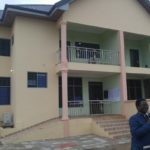 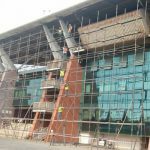 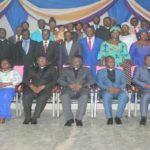 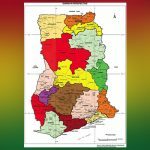 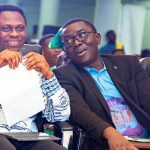 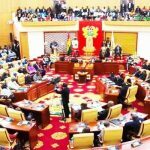 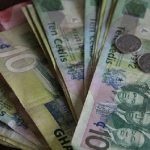 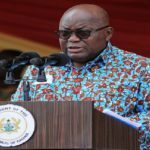 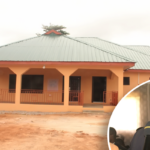 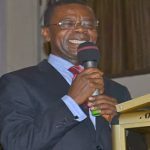 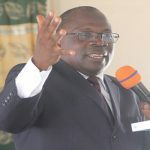 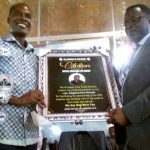 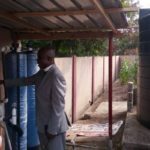 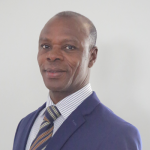 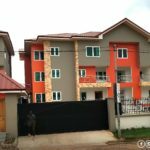 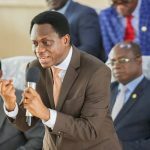 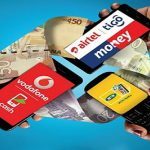 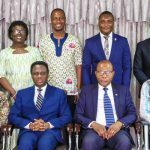 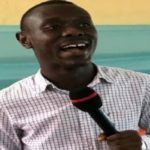 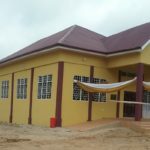 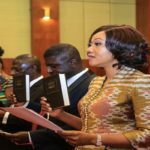 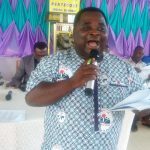 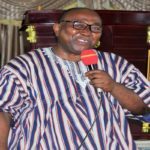 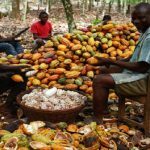 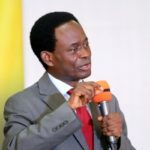 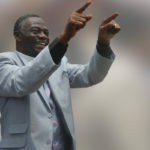 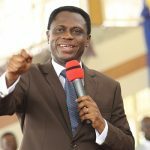 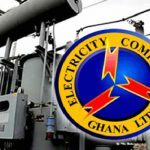 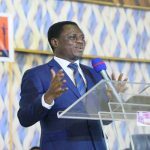 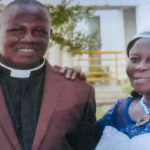 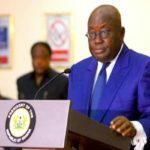 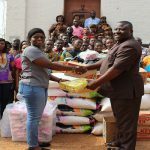 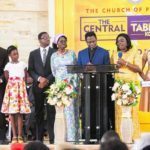 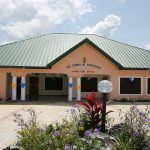 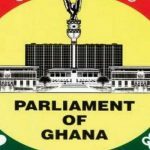 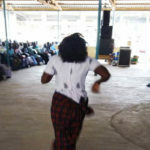 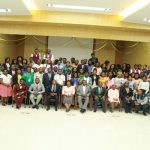 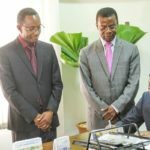 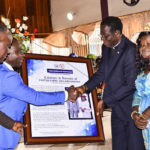 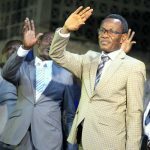 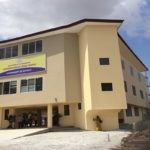 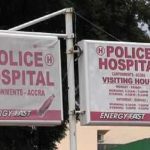 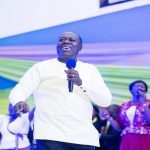 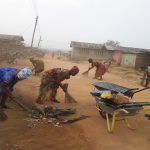 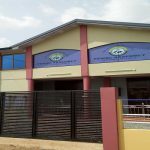 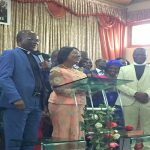 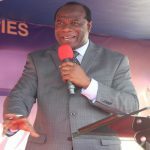 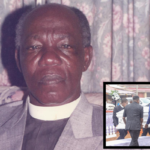 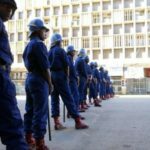 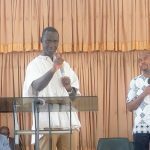 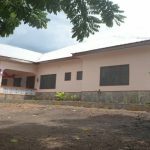 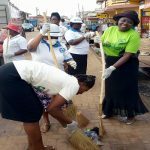 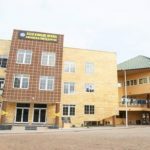 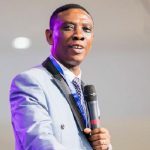 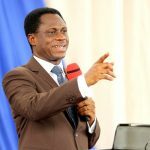 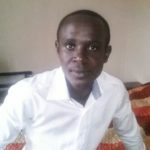 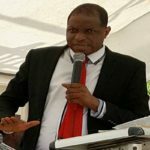 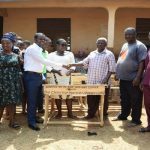 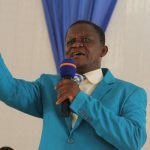 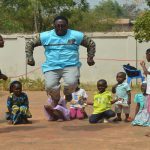 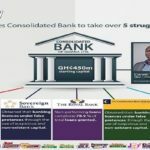 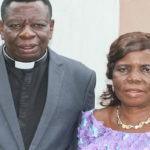 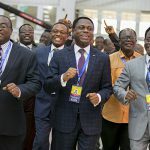 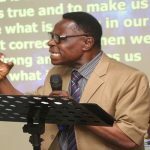 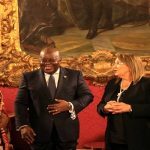 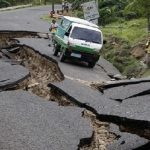 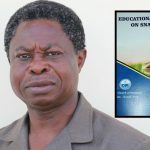 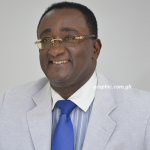 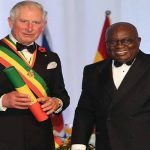 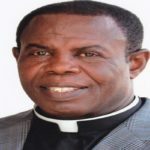 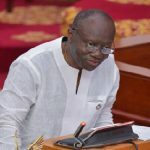 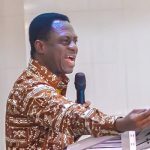 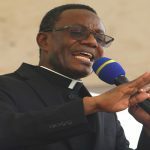 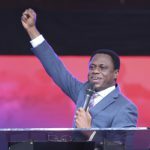 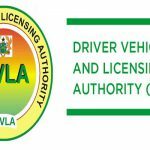 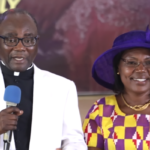 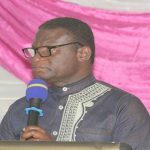 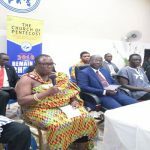 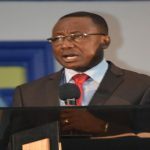 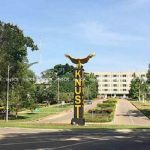 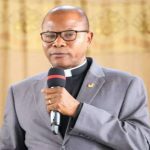 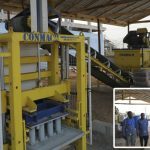 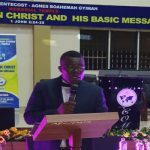 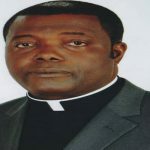 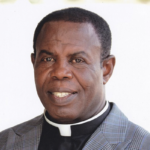 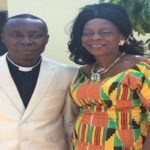 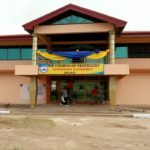 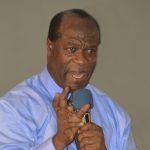 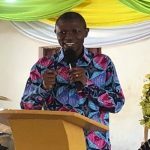 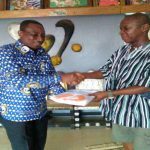 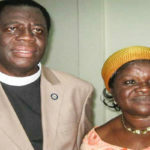 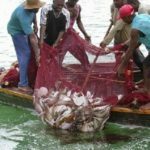 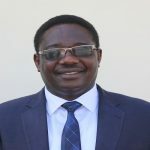 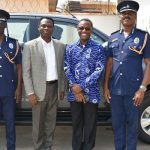 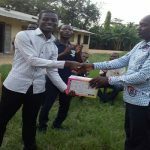 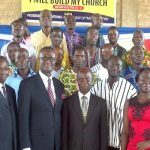 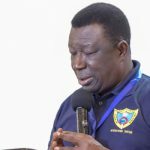 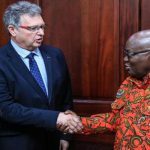 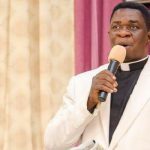 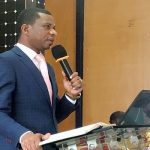 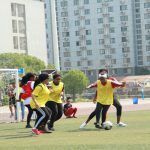 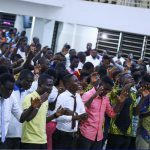 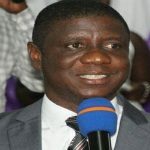 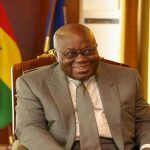 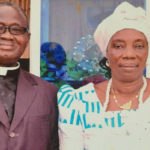 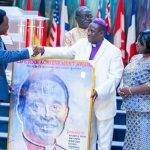 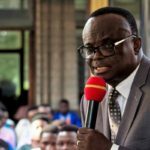 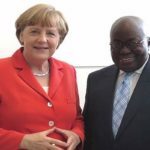 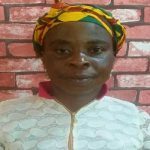 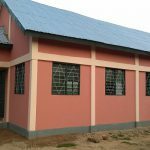 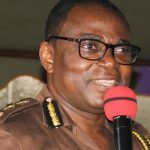 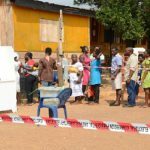 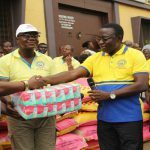 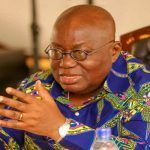 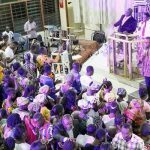 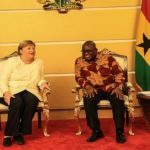 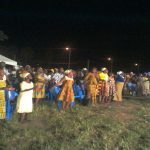 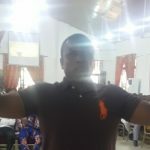 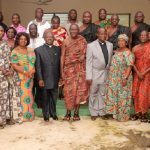 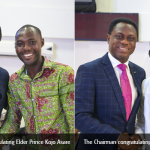 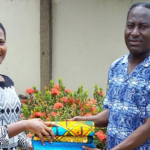 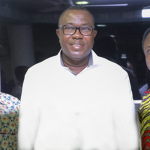 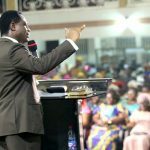 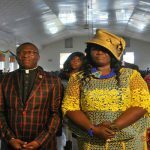 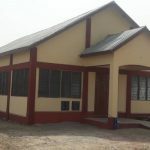 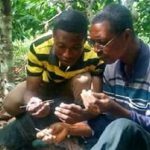 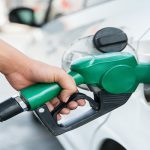 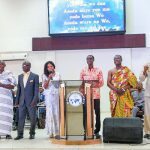 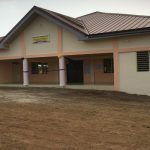 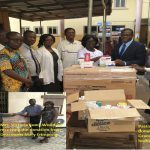 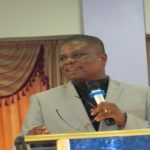 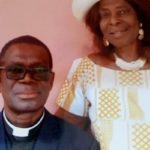 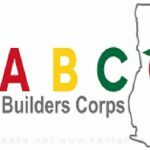 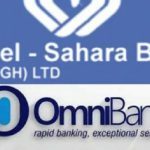 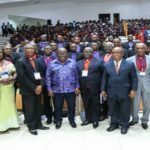 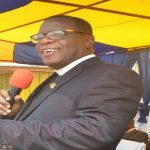 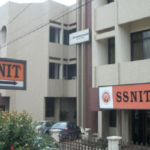 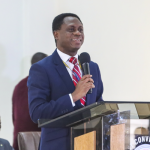 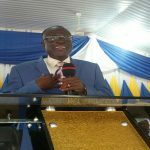 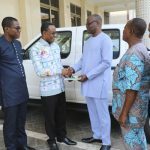 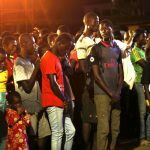 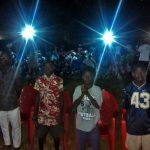 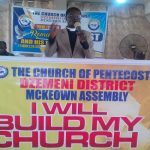 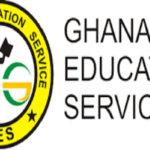 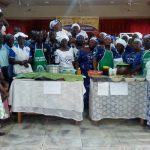 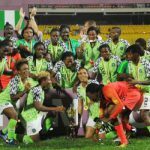 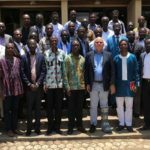 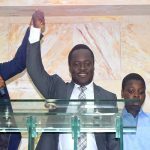 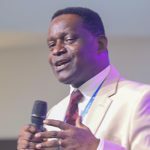 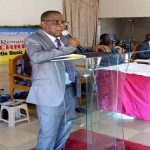 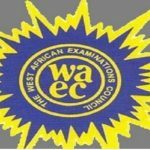 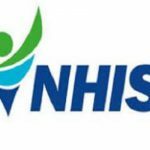 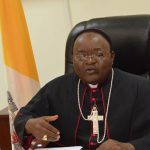 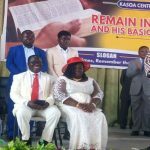 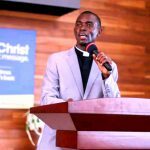 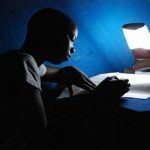 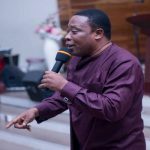 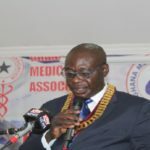 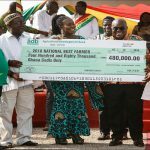 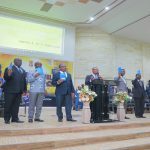 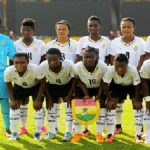 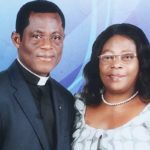 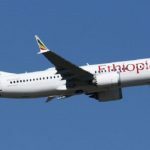 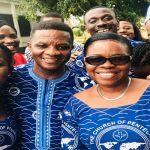 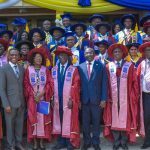 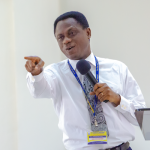 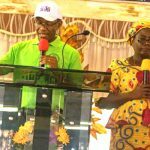 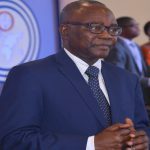 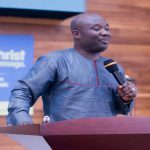 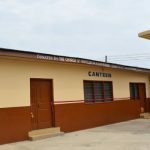 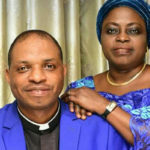 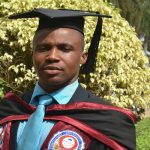 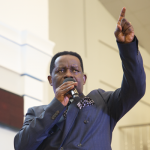 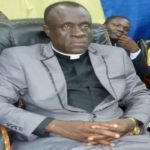 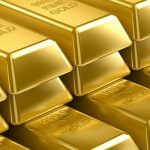 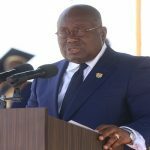 Pastor Isaac Joe Adusei was called into the full-time ministry in 1986 at Abura Dunkwa in the Central Region and was posted to Kpasa in the Volta Region. 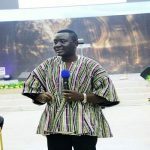 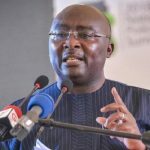 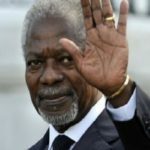 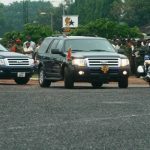 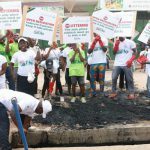 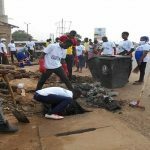 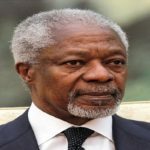 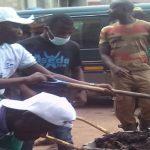 He later went on to serve at Kwamekrom, Goka, Gbawe, Komenda and finally Twifo Praso, where he brought his ministerial service to an end. 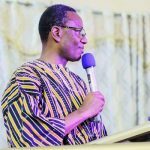 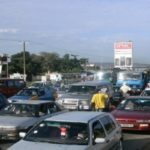 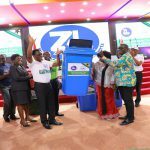 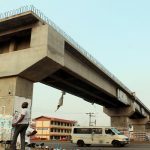 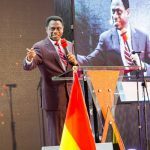 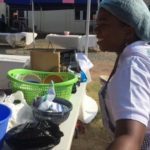 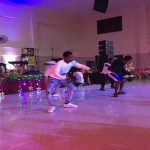 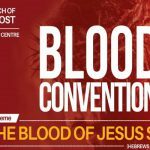 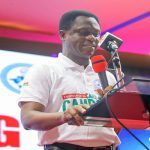 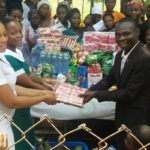 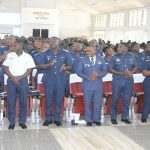 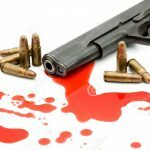 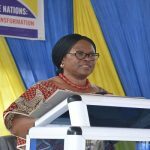 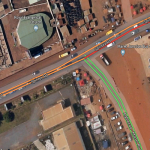 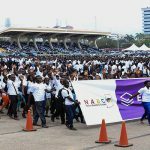 In a brief response at the event, Pastor Adusei recounted how the Lord preserved and protected his life and that of his family at the various stations he served. 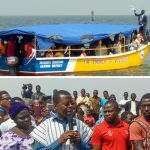 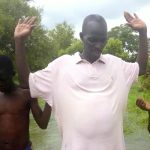 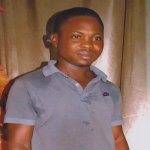 He expressed his unqualified gratitude to God for saving him from various accidents both on water and on land. 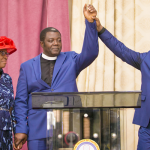 Pastor Adusei was also grateful to the Chairman of The Church of Pentecost, Apostle Professor Opoku Onynina and the Executive Council for the opportunity given him to serve the Lord and the Church. 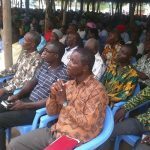 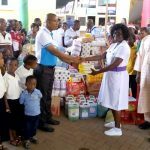 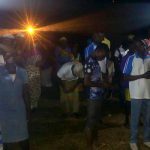 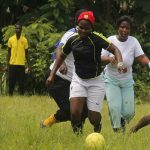 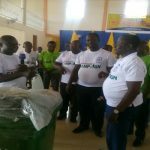 Present at the event were: Prophets David Kankam (Swedru Area Head) and E. K Appiah (Bogoso Area Head). 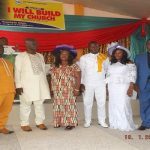 Also present were Assin Foso pastorate and their wives as well as Hon. 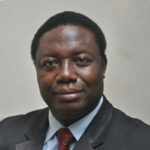 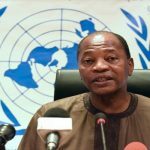 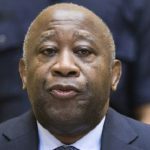 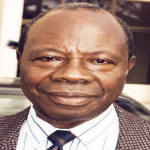 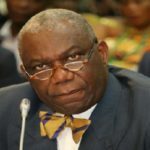 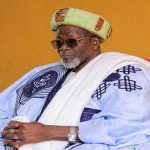 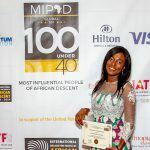 Asum Ahinsan (a former Minister of Chieftaincy and Culture and a former Ghana Ambassador to Equatorial Guinea). 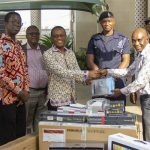 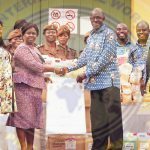 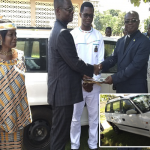 As part of his retirement package, the Twifo Praso District presented a Toyota Corolla saloon car to Pastor & Mrs. Adusei on the eve of the service in recognition of their meritorious service to God and The Church of Pentecost.